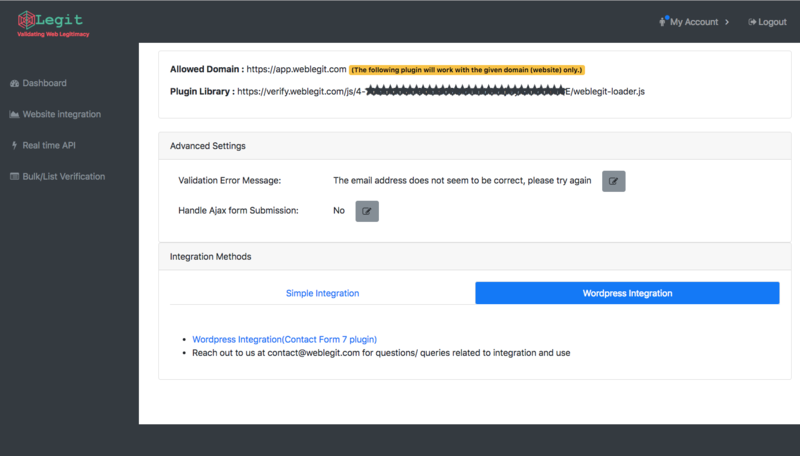 One we have installed the plugin we are going to add our weblegit plugin script to the footer section. Before we do that we need to get the plugin URL. You can get that by creating an account on Weblegit and selecting the email validation service.